A beach break can make you start thinking maybe I should have stayed home and cut the grass or boy the garage sure does need cleaning out. Hurricane Bill Photos: New Smyrna Beach, Fl. 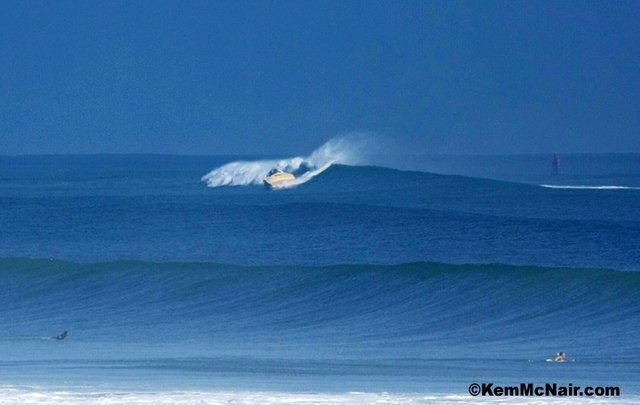 Photos are by a good friend of mine Kem Mcnair during Hurricane Bill Swell. Did I remember to pay up my life insurance? This one might leave a mark... Click on this pic so you get a full view of whats going on. How much cussing would you do? Yeah back in New York We always do off the lips in our 40ft P.O.S. Searay on 15ft breaking swells with the whole family on board. Unreal!!! Look at the guys in the forground duck diving for scale. Where the boat is is Standup heaven when there is at least a 4ft swell running its 3/4 mile offshore and you can bring one all the way through. We call that spot Shark Shallows mostly because of all the sharks out there and its shallow. But be careful on a lunar out going tide you may end up 5 miles offshore. The first one is a superb shot. 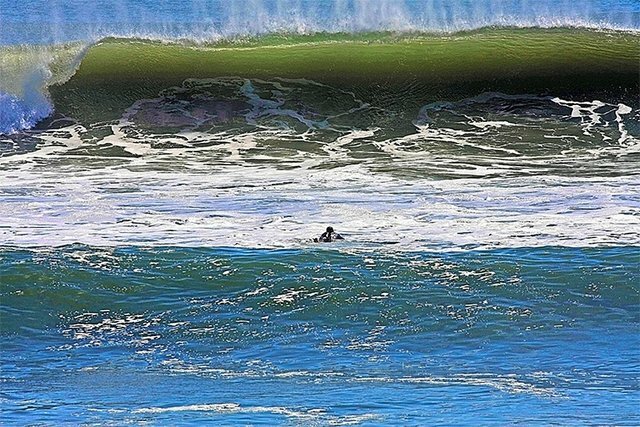 I love the contrast of the flat water and the raging break, with a figure seconds away from a serious ride in the washing machine. The third one needs to go to the fail blog under: Boating FAIL. 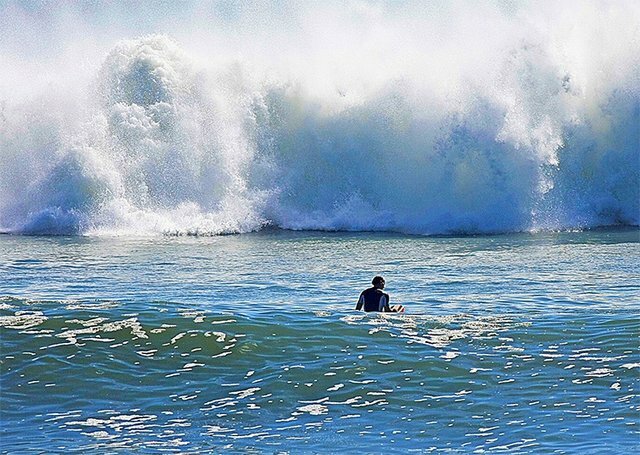 Would love to have enough frequent flier miles and a fat enough trust fund to hop on a jet and get there for the next swell that comes through- it looks super fun! Yeah we got some real smart people around here I run boats for a living and I would plain Shiet myself if I were to get a vessel in that cituation. My thing every year while on a charter offshore I get several people pulling up on me 20-40 miles offshore and "ask for directions" in their pontoon boats. UNBELIEVABLE!!!! Usually in a 5ft+ snotty sea. People watch to much deadliest Catch and think its no big deal. My buddies did some tow in stuff I am waiting for the pics of that on a sea mount about 26 miles down the beach and 7 miles offshore on the Bill swell Said it was pushing 25-28ft on the faces rights and lefts and perfect. John any time I will pick you up at the airport and put you and your boys up here at the house. You would have a ball out at the shark shallows and the inside of the inlet at head high.